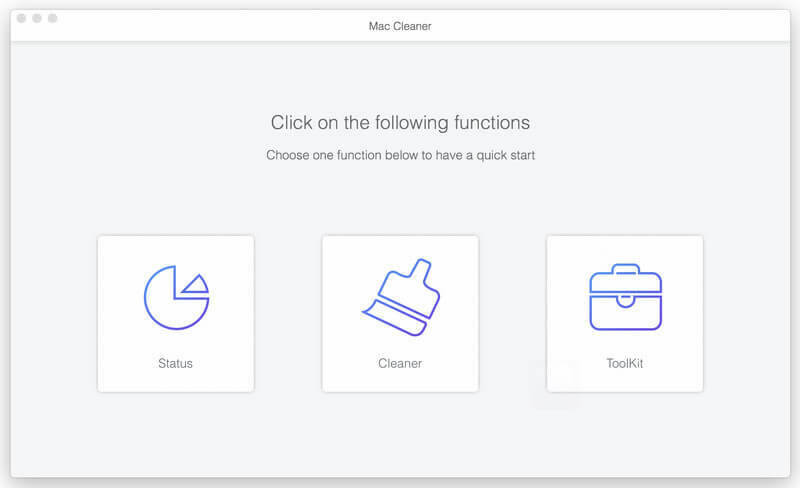 Apeaksoft Mac Cleaner enables you to check the Mac system status. For instance, you can see the CPU usage clearly. Moreover, you can see the usage of memory and disk. Mac cleaner can help you figure out what is taking up space on hard drive and where all that space is being wasted. After that, you can start to remove these junk files, system logs, caches, mail attachments, iTunes backups, etc. from Mac. Key Functions: 1.Junk Files: Find and erase worthless cache data/logs quickly; Delete photo/mail junk files; Clear Trash up; Get more Mac storage space. 2. Large & Old Files: Scan all large or old files; Selectively delete worthless files according to your need; Quick preview to deside which ones you want to delete. 3. Duplicate Finder: Quickly find and delete duplicate files or folders on your Mac. Highly support any popular data type like video, music, image, document and others. 4. Uninstall App: For some not commonly used apps, you can uninstall them and remove their associated files to regain more space on Mac. 5. Privacy Data: Clear visit history, download history, download files, search logs, cookies, login logs, and more on Safari, Chrome and Firefox to protect your personal information. 6.Directly search for files by name and order by size, time, etc. from scanned result. 7. Preview junk files, caches, logs, trash files before cleanup.